Welcome to Appliances Online! 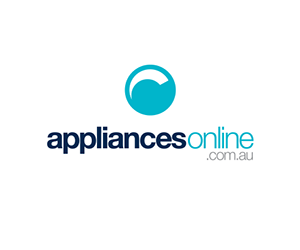 Appliances Online is Australia's number 1 online appliance retailer. We offer a nationwide delivery service, best value guaranteed appliances and a large range of brands. We are currently trusted by over 260,000 customers. Some retailers have their own policies and restrictions. Before shopping, please ensure you review the Special Terms of Appliances Online (above) for further information. Complete your purchase in one session and without leaving Appliances Online. Do not click on any bookmarks or advertising banners or links once you leave ANZ Bonus Points Mall. Appliances Online offers free delivery and appliance connection in most Australian metropolitan areas, as well as selected regional centres. We deliver on all working days (Monday - Friday) in metropolitan areas, and selected weekdays in certain regional centres, varying by the location. In Sydney, we are also able to offer Saturday deliveries for a $40 fee. After entering your location into our site, when you proceed to the checkout you'll be presented with a calendar of available delivery dates in your area to choose from. All prices quoted on Appliances Online are GST inclusive. If you notice any damage to your goods within 24 hours of receiving delivery please notify Appliances Online immediately. If your goods are deemed faulty following confirmation by the manufacturer you may replace them free of charge by calling 1300 000 500. If for any other reason you need to return an item please call the Appliances Online customer help line within 5 business days of receiving delivery. If your goods remain boxed and unopen you may return them within 30 days for a full refund. A collection fee of $50 or the amount of your delivery fee if it was greater than $50 will apply. If your goods have been unboxed but otherwise are as new (have not been used or connected) a 20% restocking fee (20% of your purchase price) will apply.